CODE-001 : Are You A Codefier? We believe we are probably only at the very start of the journey towards codification infiltrating every aspect of how we live, play and work. Although access to the internet, search and a digital platform for everyone has transformed everything, we think that the next level is going to be provided by algorithms, primed by machine learning and AI and will transform everything all over again. In travel this is ever prevalent and onsetting, with Airbnb bringing individual local experiences right to your mobile and Google having the technology to flick a switch and allow searchers to instantly access an entire holiday based on their interests, search habits and so on. The algorithmic suggestions are only going to get more accurate, as more data is collected and the algorithms get more sophisticated. 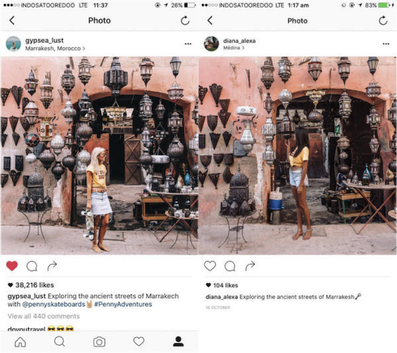 It’s easy to imagine Facebook offering a one click travel experience based on what your friends did/enjoyed/liked too… And of course, there are bound to be disruptive start ups at this very moment working out an AI solution which will take the world of travel by storm. Is there any point then, in offering a high touch ‘experience’ travel sector in the long term? Or should we be looking medium term, to replace our people with and start investing in such technology? In short, does our business model, as it current stands, have a future when we want to be Waitrose with their forward thinking Ocado rather than Blockbuster or the Black Cabbie (though it’s not too late for them!). With Propelia we are actively looking at ways that travel is already being hugely impacted by what we are calling the rise of ‘codified travel’ and the opportunities and threats that poses to our business and the travel sector as a whole right now and over the next few years and decades. Through this journey, we think the tech industry in its utopian way is sometimes a little too keen to dismiss the human element and so we’re looking at ways to deepen and elevate the human connection in travel and explore possible new ways to look at the planning and delivery of the travel itself. We’d like to go further and discuss our ideas and explore any affinities with leaders in other sectors threatened in this way. We call these leaders ‘Codefiers’. At this first breakfast for Codefiers, we’ll present our own ideas and open it up for some more general discussion. We’ll also outline our plans for taking the collective experience and insight of Codefiers a step further and explore whether together as a group we’re more able to face the ongoing disruption and CodIfication we all now face. 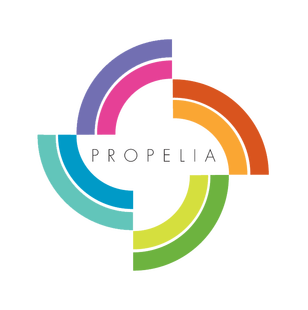 Propelia was originally conceived of as ‘Record Label for Ideas’ by its Founder Dan Simmons whilst then working in artist development for Universal Music. After a subsequent international career as a disruptive innovator running various innovation hubs, incubators and enablers always focused on navigating and unlocking new market spaces via launching new IP, brand collateral and associated assets, he launched Propelia in 2012 to fill a clear gap in the market by becoming the UK's first dedicated and specialist ‘Thought Leadership Accelerator’. Dan is increasingly recognised as the Thought Leader himself in post-disruptive ‘Pathfinder’ thinking.